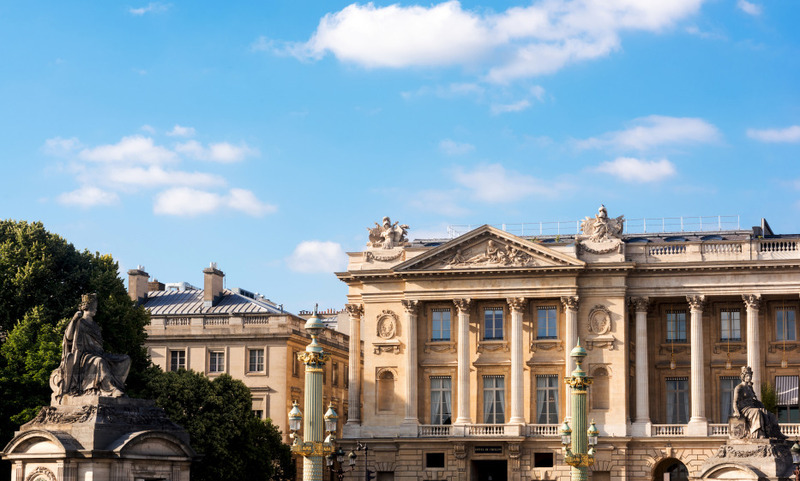 The Hôtel de Crillon is hotel Royalty and in Paris, that’s no small feat. Following a pricey renovation in 2017, it’s wooing a whole new generation with its sassy interiors designed by the likes of Tristan Auer, Chahan Minassian and Karl Lagerfeld, which now feel more residential than Grande Dame. Not that it’s lost any of its opulence "au contraire" sleek polished stone interiors in the lobby, a glittering chandelier draped with silver chains, gold scales on the walls of the subterranean spa… we could go on and on. It’s greatest extravagance however, may be its location. At the heart of Paris, on the Place de La Concorde and minutes from the Tuileries gardens and the Champs Élysées, you’ll struggle to find a better place from which to explore the City of Light. Its inspiring array of epicurian experiences around two outdoor courtyards dramatically decorated with dense green landscapes and natural noble materials. The hotel is decorated with a mix of bespoke furnitures & carefully chosen objets d’art underscoring exceptional attention to details. Its tailor-made butler service at disposal 24/7 for all guests. A brand new re-opened hotel. Everything is new. Not so many customers maybe just because its' new opening. Worth returning. Wonderful hotel, successful restoration that respects the past while renovating the appearance and conferring intimate spaces. The decor of the rooms is perfectly realized and the fact of having separated the living room from the room by a door brings a well-being. The pool although modest in size is perfect for a relaxing time. This was the second time I used your service. Both times it was execellent compared to other concierge services. I have stayed in the Hotel de Crillon previously. Last time I booked with another concierge services, but your services are not te be compared with them, the upgrading to an executive suite was sublime !